As usual, I enjoyed your post. I am *very* interested to see how you do against Watson! He has quite a rep! Glad to see you are on top of things! I live in an area not well served by medical specialists. 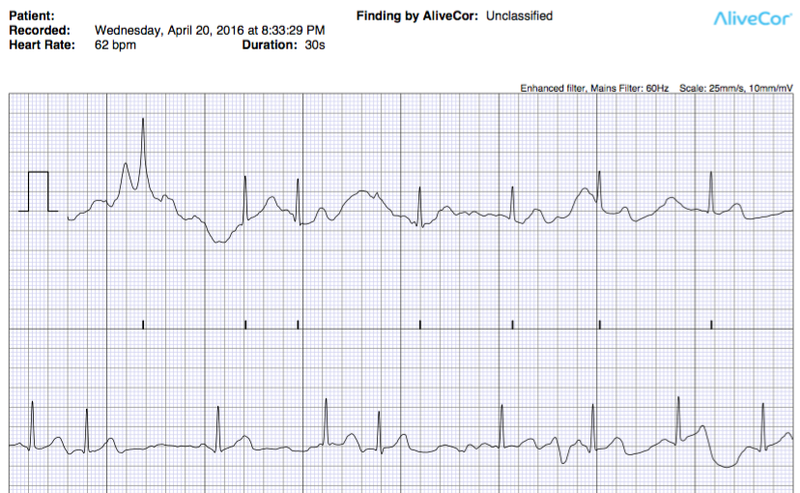 After a bad bout of pericarditis (misdiagnosed and untreated for two months), my previously healthy heart began experiencing a-fib and pvc’s in abundance. Have been reading your blog for awhile, and noting with interest the reportage on Kardia. 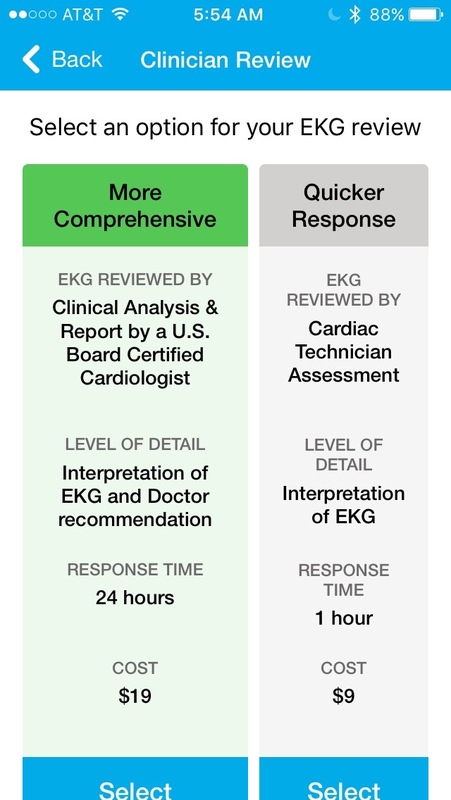 A PA recommended it to me when I asked about home devices, and the optional service of having readings done by a tech or cardiologist sealed the deal. I viewed it as an adjunct to my cardiologist who books months out on appointments and is four hours away, certainly not a replacement–but I was hoping for some peace of mind. Two months later I am really disappointed. The computer reading is unreliable and the few readings I have paid for have been indecipherable. What is one to think with a reading of: “REGULAR RHYTHM, UNDETERMINED ORIGIN: A potentially abnormal rhythm whereby the origin of the electrical activity cannot be determined.” and a recommendation to seek review within 24 hours. Seriously?? Is the rhythm regular or not?? Driving 8 hours round trip to find out is not trivial. And Kardia on the whole seems very light on tech support. There were some inconsistencies in the documentation as it pertained to the positioning of the device and I wrote for clarification twice and never received a response. I would happily pay more money for better accuracy and interpretation. Really enjoy your blog BTW. I purchased the Kardia app at the suggestion of the PA at my cardiologist office after I had a syncopal with SVT at work. It is an interesting but frustrating gadget. I printed several readings that the app calls NSR but shows some elevated hr with what the cardiologist said was probably artifact. He does not seem interested in the ecg. Now I’m wearing the Zio monitor so I’ll be interested in the report it generates. 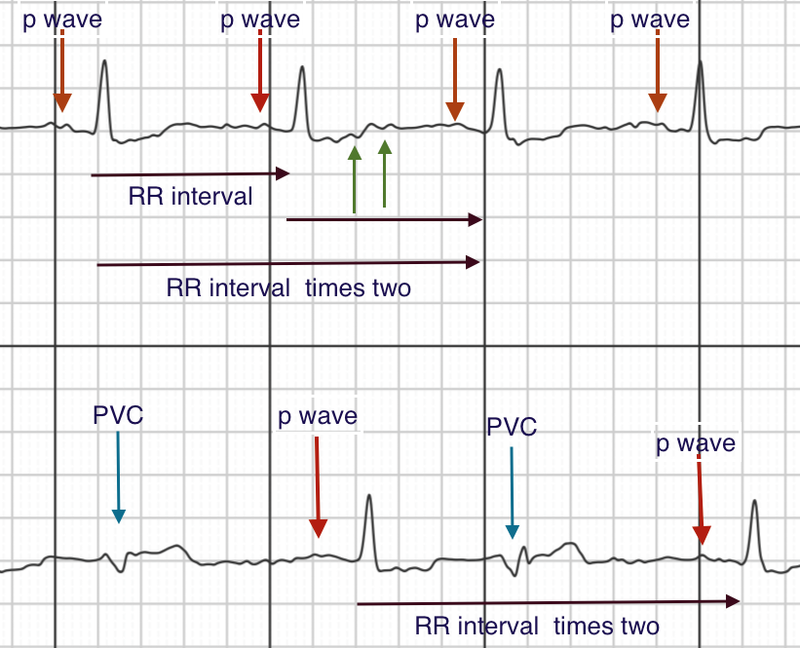 As a former ER tech turned ER nurse & now a NICU nurse I’m very used to seeing ecg rhythms and have shared the Kardia reports with my co-workers who are equally curious since I scared the the crud out of them with my syncopal in the middle of the NICU and everyone agrees – not NSR. Just curious what your thoughts are on it and possible “artifact”. I can’t seem to insert the picture here but if your interested feel free to ask via email. Hi. So where do you stand regarding the accuracy of the Kardia now? I have purchaced one recently, primarily to give me piece of mind and ready insight into what my heart is doing. Should we not believe what the device or the supporting staff tell us? Thanks … I am enjoying your blog. Thanks for your comment. I am a big fan of the Kardia device and continue to recommend it to my patients with atrial fibrillation on a regular basis. If you read what I wrote recently about Kardia Pro which allows me to monitor what my patient’s are recording you can get a feel for how useful it is. 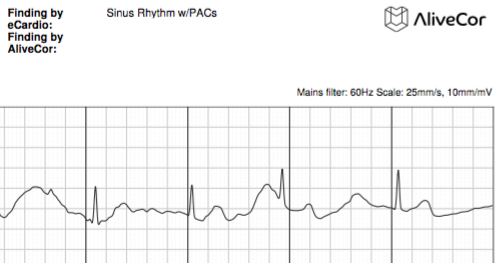 It is only capable of differentiating afib and sinus rhythm as I’ve pointed out elsewhere so premature beats sometimes are called normal and sometimes unclassified in which case it is useful to have a cardiologist review the tracings.